10 Years, four albums and over 20 Million sold units – the result of the plural laureate. Nestor Alexander Haddaway, born at Trinidad/Tobago, has studied Marketing and Policy at George Washington University, Washington D.C, before he has started his music carrier. With “What is love” he stormed the charts all over the globe and achieved a sales quota of over eight million units. “What is love” appertained up to 52 weeks at word-wide Top 10 Charts and even today it is part of the Top 100 Airplaycharts of the U.S.A. After that bang, further other megasellers like “ Life”, “ Rock my heart”, “ Fly Away” or “I Miss You” followed and entered the Top 20 Charts. With Haddaways second album “ The Drive”, released in 1995, he did not miss the opportunity to continue his success without a break.. In 1998, “Let´s do love” was launched at the world-wide market – another album with outstanding musical aesthetics and performances of impulsive rhythmic, unique melodies and especially Haddaways incomparable voice. In 1999, all his famous hits have been arranged new and remixed for his “All the Best – His Greatest Hits “ album. 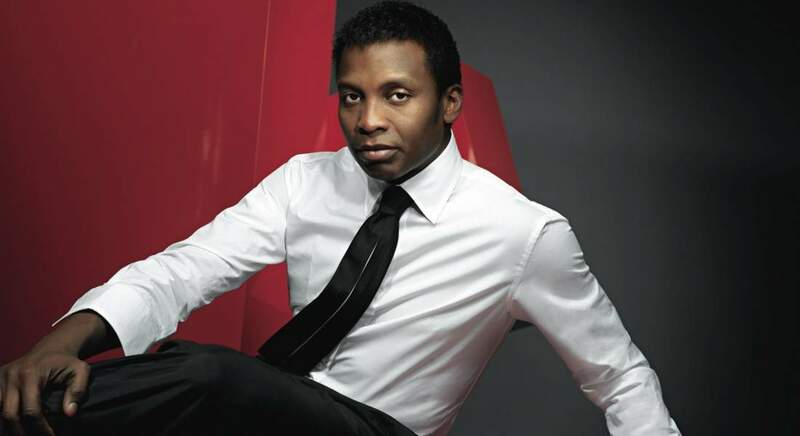 Year 2001 : Haddaway has shown, that he has developed his musical career – with “Love Makes”, his fourth album, he made clear his distance to the habitual dancefloor-sound by mediating new impulses as an undoubted musical global player in his songs. His irresistible hooklines, moods and sounds - with only a small electronic touch - are adaptable to nearly all stages, discos & clubs, living- and bedrooms in that world. During his impressing career, Haddaway has been dignified with several awards like e.g. the World Music Award, Echo-Award, Goldene Europa and many more. Shiploads of Gold and Platinum-records confirm Haddaway in his chosen way and development as one of the "Big Ones" in the world-wide music business. Nestor Alexander Haddaway - a Multi-Talent, who made his name also as an actor at the movie "Scholl out". Apart of his foible for fast cars (race driver for Porsche Cup, by the way) and fitness sports, Haddaway has got another passion: Playing Gulf. There are many different facets to Alexander Nestor Haddaway. With 28 million recordings sold, he is a global player in the world of pop music, and yet he also has a vast number of other talents, which means that referring to him just as a "pop star" is completely inadequate. How many pop stars have a doctorate in political sciences and history from the famous George Washington University in Washington D.C.? How many stars have worked as a choreographer, textiles trader and carpet fitter? Who has played American football, practices aikido, and feels as safe on a snowboard and skis as he does behind the wheel of a rally car? And who speaks not only English, Dutch, French and German but also pure Cologne dialect? Polarisation is the overriding component. In musical terms, Haddaway has a polarising effect too. Many people know his work from the 90s and see him as the spearhead for Euro-dance pop. With his new single 'Follow Me', Haddaway appears in a totally new light, showing that behind the dance icon there is a real musician who never reduces the scope of his world. This is superbly high-class pop, an unforgettable voice singing a song that reveals the dimensions in which Haddaway moves after just few bars. A true star has returned with impressive style, confirming his position as one of the Olympians of the pop world. From the upcoming album "Crucified".